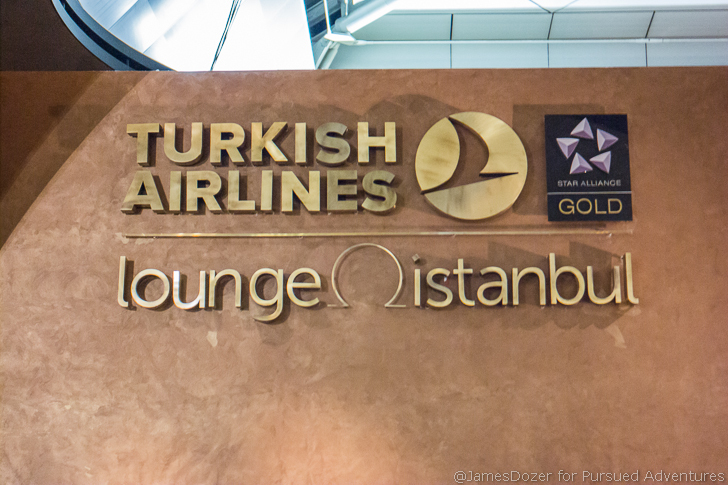 The Turkish Airlines Business Class Lounge–also known as the July 15 Heroes of Democracy Lounge–is arguably one of the best lounges in the Star Alliance network. It is a massive, two-story lounge with a long list of services and amenities that would put most first class lounges to shame. Some would even argue that the Turkish Airlines Business Class Lounge is the best business class lounge in the world …but I don’t know that I would go that far. It’s definitely a great space and it used to be one of my favorite lounges. However, given how crowded it has become lately, I don’t know that I would rank it as highly anymore. Anyone who has visited the Turkish Airlines Business Class Lounge lately knows everyone and their mother now have access to the lounge. The space has become crowded, chaotic and unusable throughout the years and I feel like things are only getting worse. At peak times, it’s nearly impossible to find a seat to relax in, a table to work at or a place to enjoy any of the wonderful amenities. 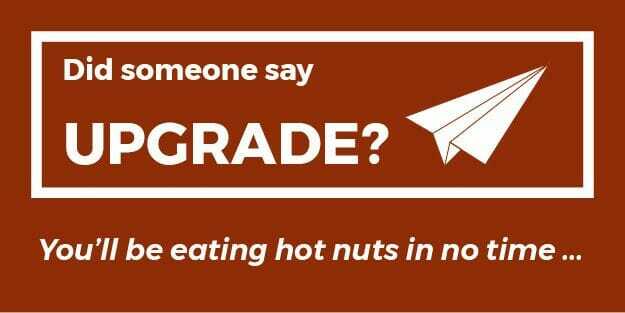 The lounge is not as enjoyable as it used to be for me and the entire experience leaves me a bit frazzled. The Turkish Airlines Business Class Lounge at Istanbul Ataturk International Airport (IST) is located on the departure level near gate 220. The lounge is accessible by first/business class passengers and Star Alliance Gold members traveling on any Star Alliance partner flight, Miles and Smiles Elite members and those with United Club or Air Canada Maple Leaf Club membership departing on a Star Alliance partner flight. Star Alliance Gold members and Miles and Smile elite members may invite one guest. The lounge is open 24 hours a day. Located at the entrance is a reception desk but you can bypass it to enter the lounge. Just scan your boarding pass or Star Alliance membership card at the turnstile to gain access to the lounge. However, if you need any assistance with passenger services, you will need to exit the turnstiles to see the attendants here. There is a concierge desk located inside the lounge that can only assist with shower suites and day room reservations. To give Turkish Airlines credit, the Turkish Airlines Business Class Lounge is beautiful. The open-roof lounge is bright and spacious. The dome-like rooms give the massive lounge an illusion of defined spaces without making it feel claustrophobic. There is a nice flow throughout the lounge, and there are pleasant little surprises around every corner welcoming and inviting you to explore the next undiscovered area. The lounge is beautifully decorated in both modern and traditional Turkish design elements with each section of the lounge different from the last. As you enter the lounge, there is a convenient storage locker area to your right. Here, you can store all of your belongings securely into personal glass lockers. The lockers are large enough to store a cabin size roll-aboard, and you can even set your own lock combination and re-enter as many times as you need. To the left of the storage lockers is a library room with a full-size billiards table. It’s called the library because there are books here but it’s not exactly a quiet place to read a book, especially if there are people shooting pool. If you want a quiet place to relax, you’ll be better off in the olive garden. No no, I’m not talking about the restaurant. There’s a garden section in the back of the lounge with actual olive trees. Adjacent to the storage lockers is a movie theater room with leather recliners and a small movie screen. In all the times I have visited the Turkish Airlines Business Class Lounge, I have not once seen an actual movie played here. It seems to always be some sort of 80’s rock concert blasting at full volume. The space is neither calming nor relaxing but at least you can kick your feet up for a little bit and get some shut eye. Just make sure to have some earplugs and eye shades. There is a kid’s play room located in the back of the lounge with video games, toys and an enclosed space for kids to run around and play. I love these dedicated spaces for kids because they should be allowed to play without disturbing the peace of others around them. Kids love them and other passengers love them too. It’s a win win. Lounge seating is spread out across both floors of the lounge with several themed spaces. The TV rooms are a bit more social whereas the olive garden in the back of the lounge tends to be a bit quieter with a good mix of lounge chairs, couches and low armchairs. There is no denying how impressive this lounge is but in my opinion, what makes this lounge special is the catering. The Turkish Airlines Business Class Lounge is catered by Do&Co and the food is some of the best food you will ever have in a lounge. The food spread is plentiful and delicious at all hours at the day from breakfast in the morning to lunch in the afternoon and dinner at night; all the dishes are locally sourced, prepared fresh on-site and offer a wonderful selection of both western and Turkish cuisine. There are two main buffet stations; one located on each floor of the lounge and there are several smaller, food stations located throughout the lounge. The breakfast menu features an omelet station with made to order eggs and the evening menu features a meat carving station. For coffee fanatics, there is a dedicated coffee bar with a variety of both Turkish and traditional coffees and espressos. The barista can whip you up a drink within a few minutes and even pair it with a delightful Turkish Delight or piece of chocolate to nibble on. If you have a sweet tooth, the Turkish Airlines Business Class Lounge has you covered with several dessert stations featuring trays upon trays of cakes, pastries and other delicious treats. There are several alcohol stations located throughout the lounge with a good selection of wines, beers and spirits. There is no bartender so you will have to mix your own drinks. Downstairs in the “tea garden,” there is a quiet place to sit and relax in a serene space. Here, you’ll find a dedicated tea station with a variety of Turkish and traditional teas and various pastries. For entertainment, there are several TV seating areas to catch up on the day’s news and video game stations with Playstation 4 consoles to unleash your inner teenager. And what lounge would be complete without an interactive, indoor golf simulator and micro-car racetrack? The Turkish Airlines Business Class Lounge was designed around entertainment and nowhere is that more apparent than with the lack of usable workspaces. For business travelers, there really isn’t a good quiet space to sit down and plug away. There are a couple of “work areas” located on the top floor with several desktop computers and a copy machine but that’s about it. However, password-protected Wi-Fi is provided throughout the lounge so you can work from any of the seating areas. There are two massage chairs located on the first floor and a massage therapist that walks around the lounge giving people massages. There doesn’t seem to be a sign up list or any set hours for the massage therapists and I just see them walking around, massaging people randomly. Day rooms and shower suites are available on a first come, first served basis. You can request one from the concierge desk. You are connecting to another Turkish Airlines flight. You can only use the day rooms for up to six hours. If you layover is over 7 hours, you will not qualify for a day room. Even if time has elapsed and there’s 6 hours left in your layover, you will not be entitled to a day room. If your transit is over 7 hours, Turkish Airlines does provide free tours of Istanbul city and a complimentary stay at an airport hotel. City tour information can be found here. If you trying planning on getting a Turkish Airlines free transit hotel room, read my warning post here. Service-wise, the Turkish Airlines CIP Lounge attendants are some of the surliest employees I have ever encountered. They are not friendly or attentive in the least bit and have no problem yelling at you if you don’t understand what they are trying to say. Seriously, they are not friendly. No gate or boarding announcements are made from the lounge so you will have to pay attention to the flight information display boards. Overall, there is no denying the Turkish Airlines Business Class Lounge is a fantastic lounge with fantastic amenities. No other lounge that I can think of provides half of these services and amenities for business class passengers and there’s enough going on here to entertain even the longest of layovers. That being said, I think the Turkish Airlines Business Class Lounge has become too crowded and unmanageable. It’s loud, chaotic and the lack of usable workspaces makes it hard for anyone trying to rest, relax or get any work done. I used to book long layovers through IST just to hang out in the lounge but long gone are those days. Nowadays, if I can just find a quiet place to sit and work, I’d call that a successful Turkish Airlines Business Class Lounge visit. What do you guys think of Turkish Airlines Business Class Lounge? Please let me know your thoughts in the comments section below. Thanks for reading!